Airport indeed is the busiest runway of the city. 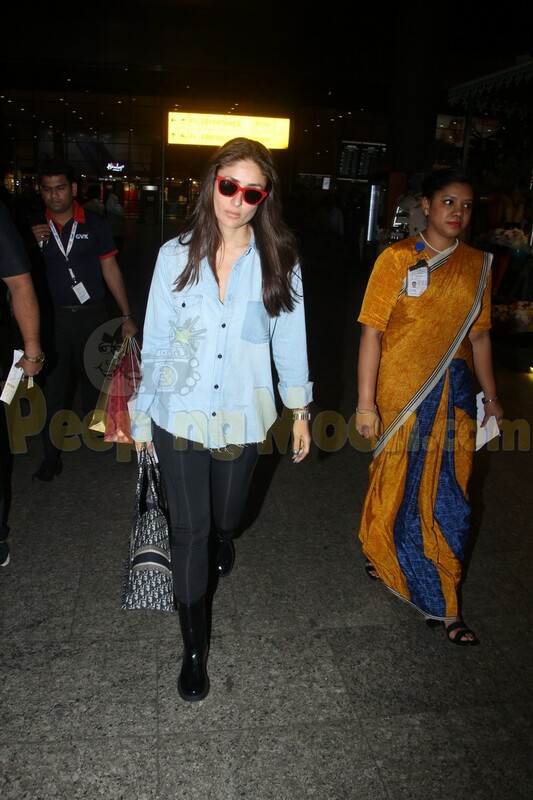 Papped flying in and out of the city were Anushka Sharma, Kareena Kapoor Khan, Sonam Kapoor Ahuja, Kartik Aaryan and Govinda. 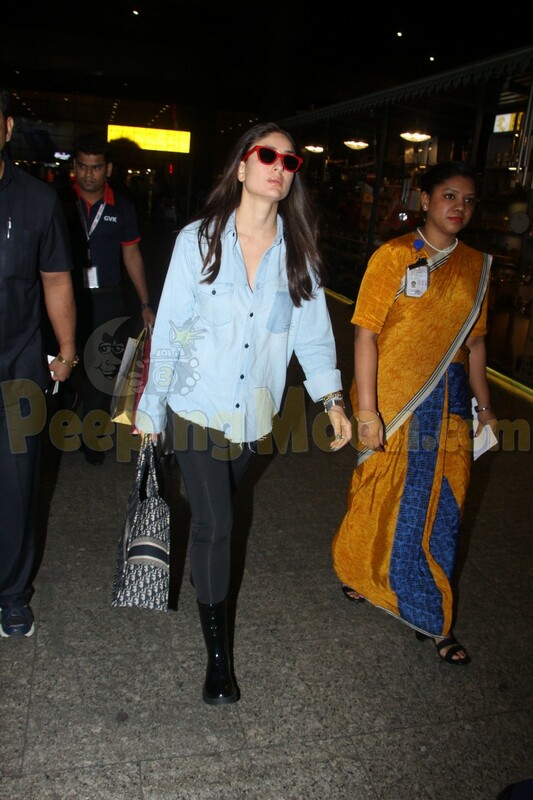 Anushka wore a crisp pant-coat set with a graphic tee as she made her way inside the airport. 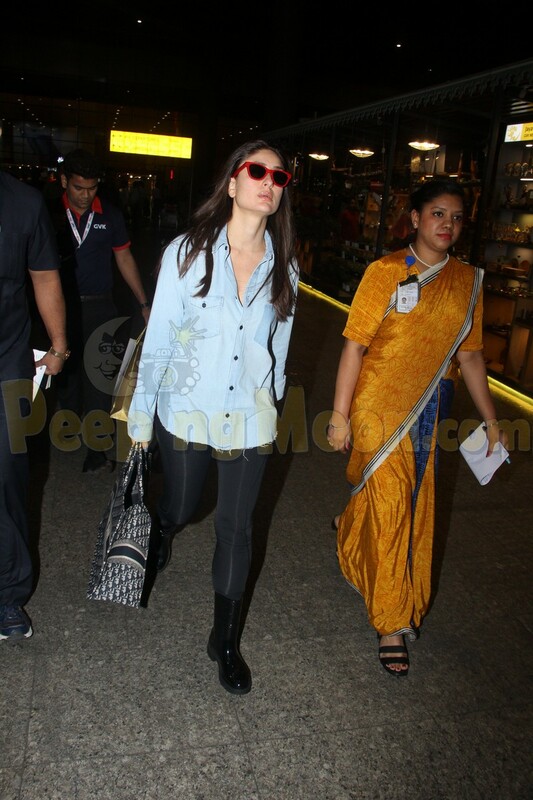 Kareena was looking chic as ever in a denim shirt, black bottoms and boots. The red frames and the handbag added the edge to the look. 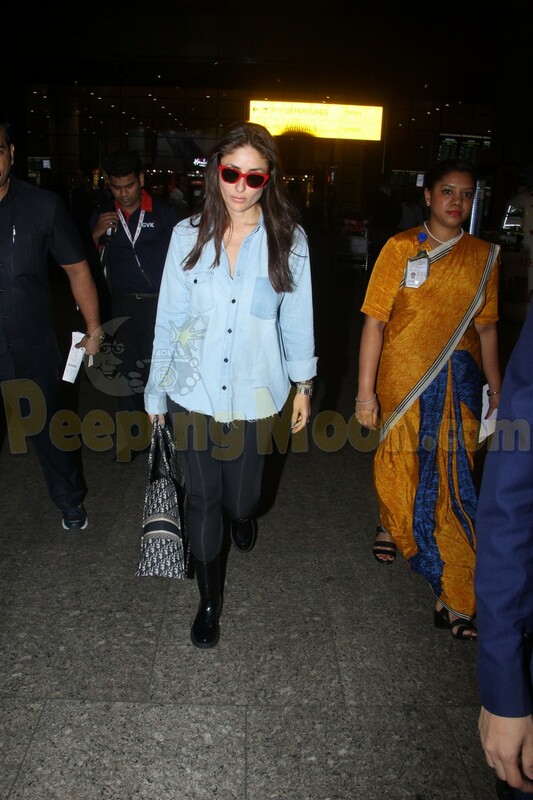 Sonam was also seen making her way back in the city.